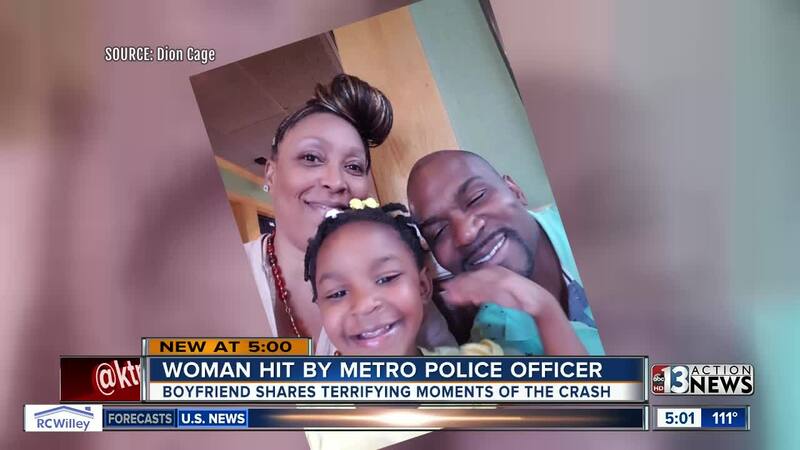 UPDATE July 25: 13 Action News spoke with the passenger in the car, Dion Cage, who says Delilah Coleman was driving and their 3-year-old daughter Alay'ah was in the backseat. He had just gotten off work and they were almost home when their car was T-boned by the police car. He says Alay'ah flew out of her car seat and landed in the middle of the backseat from the impact, and Delilah was seriously injured. Cage says the officer stepped out and apologized and called for help. "I was running on adrenaline," Cage says. "I just wanted to make sure my daughter was okay." Delilah is still recovering at the hospital, and while Cage forgives the officer, he wants to see the police department step up and help with medical expenses. Police tell us their policy is to investigate the crash just like any other, and if it's confirmed the officer was at fault, their risk management insurance will cover damages. ORIGINAL STORY: A woman is fighting for her life after she was involved in a crash with a Las Vegas police officer. It happened shortly before 4 p.m. July 24 near Swenson Street and Sierra Vista Drive. A police SUV was pursuing a robbery suspect in a stolen vehicle on Swenson Street. 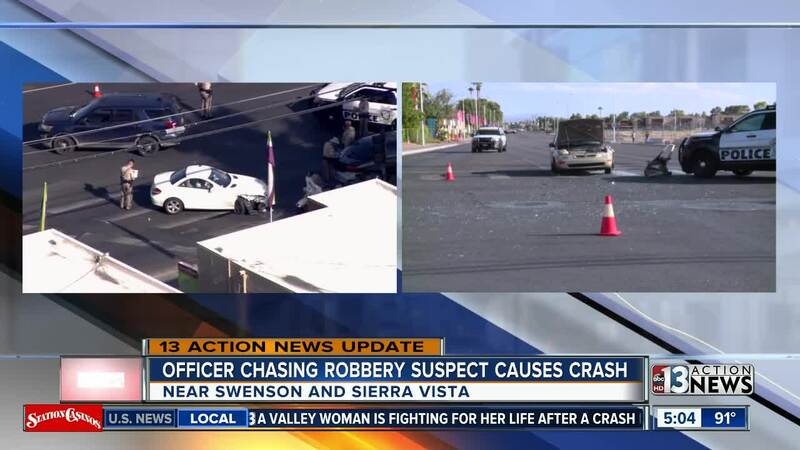 As the police vehicle approached the intersection, the SUV hit a 1997 Toyota Corolla driven by 46-year-old Delilah Coleman of Las Vegas. The light was green at the time on Swenson Street. Coleman had to be extricated by the fire department and was transported to UMC Trauma with serious injuries. The 34-year-old police officer, who has not been identified, was also transported to UMC and treated for minor injuries. A 41-year-old man and 3-year-old child were in the Toyota with Coleman. They were not injured. It is believed that the robbery suspect was able to get away.